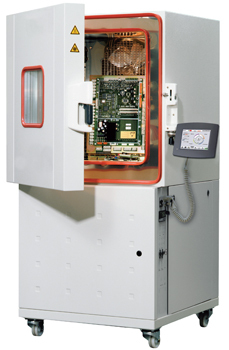 The revolutionary Temperature Controlled Automatic Motorized Durometer - Digi-Chamber - SHORE & IRHD Scales consists of a Digi-Test II Hardness Tester and a temperature chamber which allows tests to be carried out at above or below ambient temperature. With the function of temperature control, the specimen can be examined of its hardness change in extreme temperature conditions. 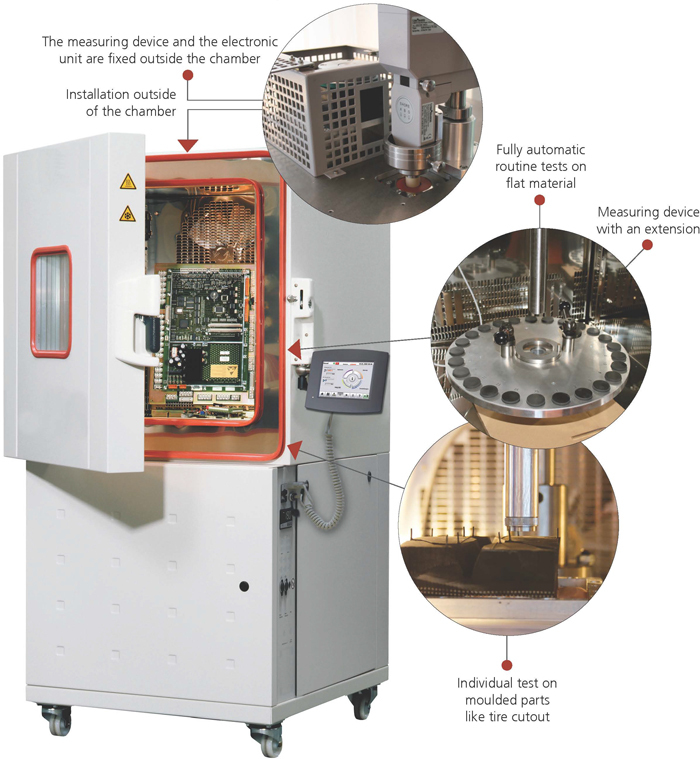 This kind of test is ideal for the automobile and tire industries as most of the rubber parts are required to sustain critical temperature changes. The entire system can be controlled by a touch panel with colored display providing easy-to-use controls.